Some words and phrases in Slovakia have already been banned — "Soros," "control of the third sector" and "funding of the third sector," — says Dusan Jarjabek, Slovak politician, singer, and member of the Smer Socialna Demokracia ("Direction — Social Democracy") party. 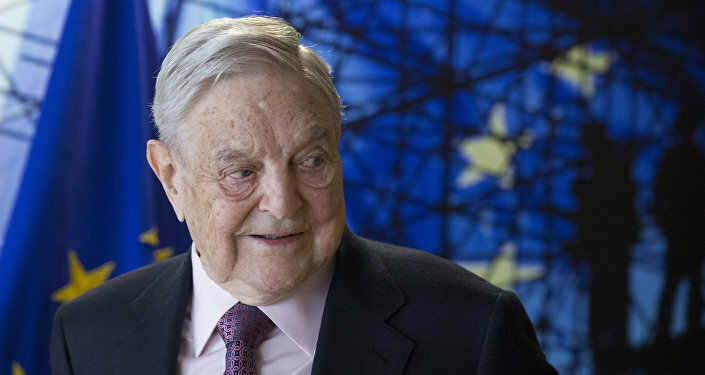 "If you use any of these words, you will be immediately condemned by some media," the politician told Sputnik Czech Republic, referring to Hungarian-born billionaire George Soros and his numerous NGOs, dubbed the 'third sector' in Slovakia. "In society there is no balance now, it is divided, which is bad. However, it is possible that this [situation] is what someone was trying to achieve." The ongoing political row in the country was triggered by the murder of investigative journalist Jan Kuciak and his fiancée Martina Kusnirova on February 21, 2018. The journalist had been known for investigating Italian mafia links to senior Slovak officials. One of the subjects of his unfinished report had ties with people working in the Fico office. 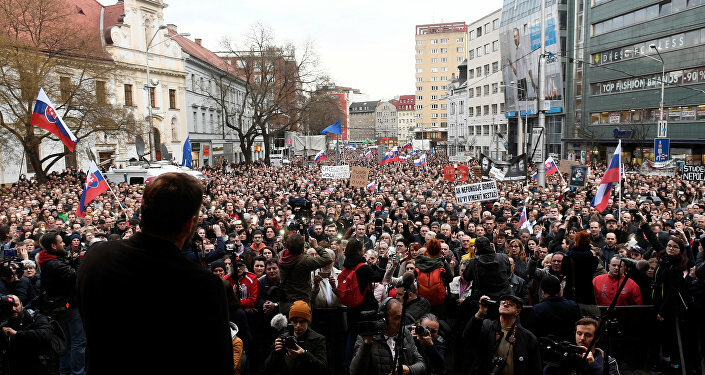 Tens of thousands took to the streets in the early March demanding that the government of Prime Minister Robert Fico resign. On March 4, President Andrej Kiska called for substantial changes in the government to restore public trust in the authorities. In response, Fico accused Kiska of colluding with George Soros. The former prime minister referred to a private meeting between the president and the billionaire that allegedly took place on September 20, 2017 in New York. The Fico cabinet was forced to resign, which, nevertheless, has not brought the end to the political turmoil. "The terrible murder of two young people, one of whom was a journalist, gave the impression that politics was involved in the whole story. I absolutely disagree with this," Jarjabek underscored. "In any way, it seems to me a perversion to link this murder to politics. There are certain media circles behind this. They are joined by the opposition, and as a result Slovakia has becomes a [sort of] country it has never been." The politician recalled that before the murder, Slovakia had been seen as one of the leading EU countries in the terms of its economy, capable of becoming "the core of Europe." However, after the journalist's assassination, it is largely seen as "a state on the verge of a third world war." When asked why the coalition parties' supporters do not take to the streets too, Jarjabek responded that in this case "protests could no longer be dealt with" as on either side there would be provocateurs which could have exacerbated the situation. "This political crisis is somewhat strange: There has not yet been a day when the government has not worked," the politician said, stressing that the government continues to consider bills while the National Council, for its part, discussed legislation within the framework of adopted laws. "Is this a crisis then? No," Jarjabek emphasized. According to the Smer party member, the so-called "crisis" is provoked "by certain media circles, part of the third sector, which are joined by opposition parliamentarians." "The media provide topics which are being used by opposition politicians," he opined. "Someone did not like the state of affairs in the country before the killing of Kuciak. I would be very happy if a normal investigation had been carried out. It's not so important who the killer is, I'm more interested in who was the hirer, if there was one. This information would have exposed many things to us." Commenting on the Western media coverage of Russian journalist Kirill Vyshinsky's arrest by the Ukrainian authorities, Jarjabek said he felt that there was "a double standard approach" on this issue. "The Russians are still presented as an aggressor in the conflict, and Ukraine as a victim," he said. "I do not like this. I feel that something is wrong here — as if we get less information from the other side. I also do not like the sanctions [imposed] by the European Union [on Russia], because I think that they have not really helped anyone." According to the Slovak politician, this is yet another example of an ideology outplaying the economy. He believes that "this is just a business that can be beneficial to a small group of people, which are profiteering this way." "The fact that this happens at the international level is simply incredible," Jarjabek highlighted. 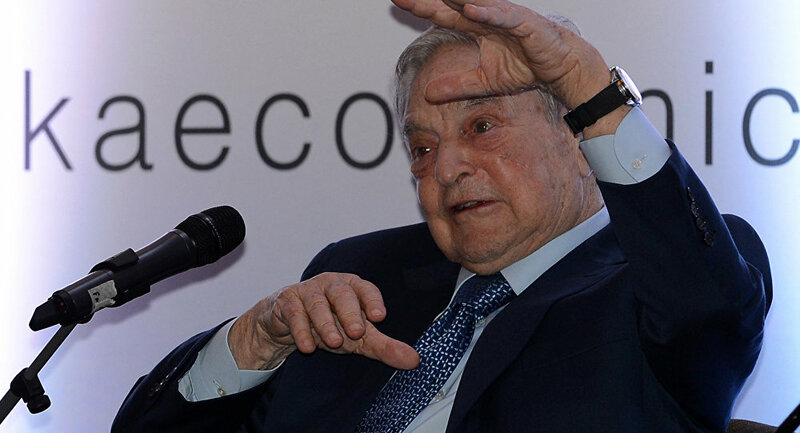 "I do not want Western propaganda to hack my brains just to be reconciled with the fact that some money-bag would get a better economic deal. But for most people, money does not smell." The views and opinions expressed by Dusan Jarjabek are those of the speaker and do not necessarily reflect those of Sputnik.